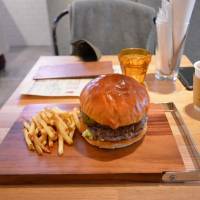 The crew behind Garage 39, a craft beer pub between Honmachi and Kitahama, have gone west along the road — approximately a kilometer west — and opened up a burger outpost. And judging by the name they gave it, they seem pretty confident and happy about it. As you’d expect, they’ve brought a few beer taps with them, three to be precise. The range of craft beers changes, but Garage 39 carries a good mix of Kansai brewers, including Kyoto Brewing Co. and Minoh Brewery, so expect to see some of their brews turn up on tap at Yes! Burger. In terms of style, Yes! is American diner meets Japanese cafe, but it falls a bit flat for not fully embracing either identity. The burgers are good, though, and there’s a nice line-up that includes staples such as the cheddar cheese burger, chili jalapeno, gorgonzola, mushroom and, for the millennials, an avocado smash burger. I joke — avocado is a great addition to a burger. However, it was the chili jalapeno option I settled on, as I wanted to sample the spice levels. The patties are all made from Australian beef and are cooked medium rare as standard unless you say otherwise. 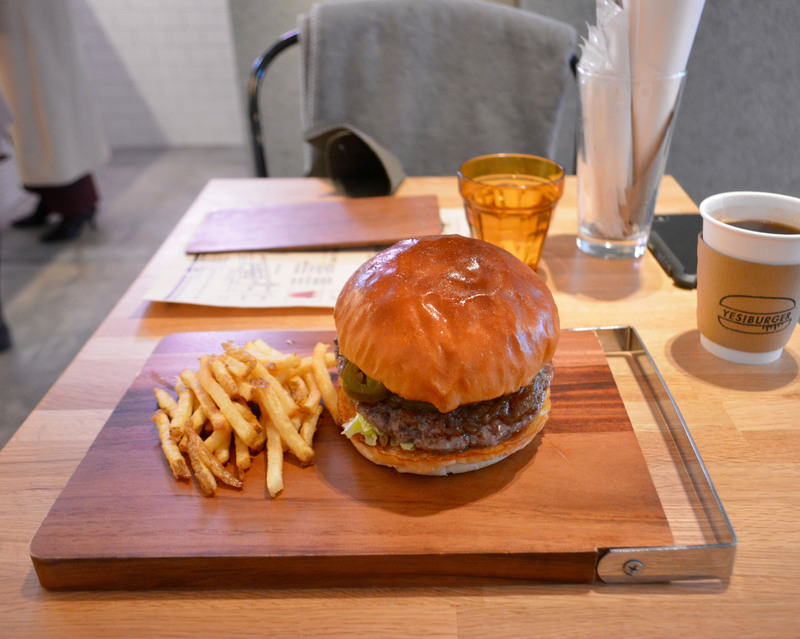 The burgers, which come with a small serving of fries, start at ¥980, rising to ¥1,400. The chili burger (¥1,180) holds up well, with a decent kick off the jalapenos. The fries, however are a bit of a letdown: The portion is skimpy, but more than that, they tend to be more soggy than crispy and light. It’s a pity, because this is a burger you’ll say “yes please” to. Burgers from ¥980; English menu.